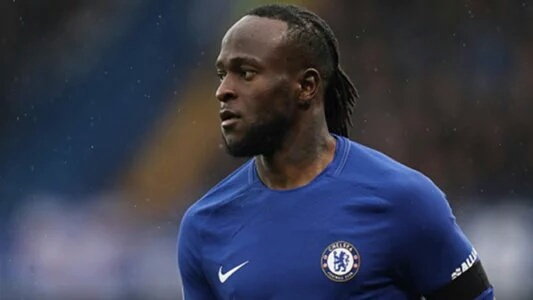 Chelsea Legend Tommy Langley feels sorry for Victor Moses who has failed to secure game time under new manager Maurizio Sarri. The former Nigeria international featured prominently under former boss Antonio Conte, flourishing in the right wing-back position. However, since the arrival of Sarri, the 27-year-old has been reduced to a bit-part role, making only two Premier League appearances for the side this season with his boss preferring Cesar Azpilicueta in the right-back position while Eden Hazard, Willian and Pedro are ahead of him on the wings. “I feel sorry for Victor Moses”, Langley said on Chelsea TV. “He had a fantastic time two years ago and it culminates on him not even being on the bench. “So he is someone who will want to play football matches. There are speculations Moses might leave the Stamford Bridge outfit during the January transfer window with his former club Crystal Palace the likely destination. However, when Chelsea take on Leicester City on Saturday, he will be hoping to play a part in the encounter.